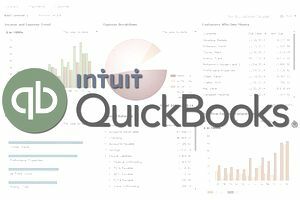 The QuickBooks Accountant & Tax Reports provides accounting and tax information based your adjusted journal entries, trial balance, fixed asset listing and income tax detail. Here is a list of QuickBooks Accountant & Tax Reports along with a description of the information contained in the report below. QuickBooks Accountant Only Reports provide information for your accounting personnel. Adjusted Trial Balance: The Adjusted Trial Balance Report gives you the trial balance with the balances after all adjusted entries have been posted. Adjusting Journal Entries: The Adjusted Journal Entry Report lists all adjusting journal entries that have been posted to your company’s general ledger. QuickBooks Listing Reports provides information on your accounting lists. Account List: The Account List Report gives you the name of each of your company’s accounts, along with the balance for each of the balance sheet accounts. Fixed Asset Listing: The Fixed Asset Listing gives you a list of your company’s fixed assets, which includes the date the asset was purchased, description, and the cost of the asset. QuickBooks Income Tax Reports provide information for preparing your company’s income tax returns. Income Tax Preparation: The Income Tax Preparation Report shows you the tax line assigned to each account in your chart of accounts. Income Tax Summary: The Income Tax Summary report will tell you what amount your company needs to report on its income tax forms based on the tax line assignments. Income Tax Detail: The Income Tax Detail Report shows you what transactions make up each amount on your company’s income tax forms. Company & Financial Reports: these financial reports tell you how your company is doing financially. Customer & Receivable Reports – these reports tell you how much your customers owe you. Sales Reports: these reports give you information about sales rep, sales orders, and pending sales. Jobs, Time & Mileage Reports: these reports give you information about your job estimates, including time, the amount spent, and mileage for each job. Vendor & Payable Reports: these reports tell you how much money your company owes to its vendors. Purchase Reports: these reports give you information about your company’s purchases and its open purchase orders. Inventory Reports: these reports give you information about inventory value, stock, and work-in-progress. Employees & Payroll Reports: these reports give you information about your employees and payroll expenses. Banking Reports: these reports give you information about your banking transactions. Budgets and Forecast Reports: these reports give you information to compare your actual results to your budgeted amounts. Lists Reports: These reports will give you phone, contact, and customer lists that you will find useful. You can also customize these reports or build your own reports within QuickBooks to meet specific reporting needs.